Ah, the good old days! Note the actual dial. How about an old cord switchboard? Yours truly had a job with an old school cord board in the late 70’s and early 80’s as well as a “modern” PBX system. It was a nice skill set back in the day. (Just call me Ernestine!) I was thinking that this book was so out of date that today’s kids (as well as the parents) wouldn’t even recognize the equipment. I will be busy having an age crisis. 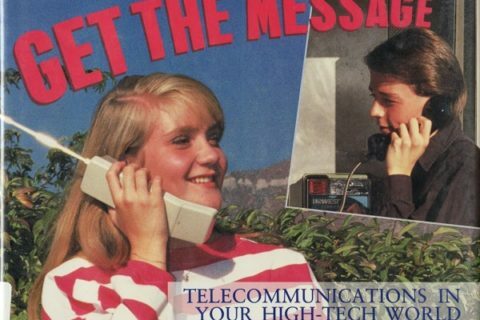 Leave a message with the operator. 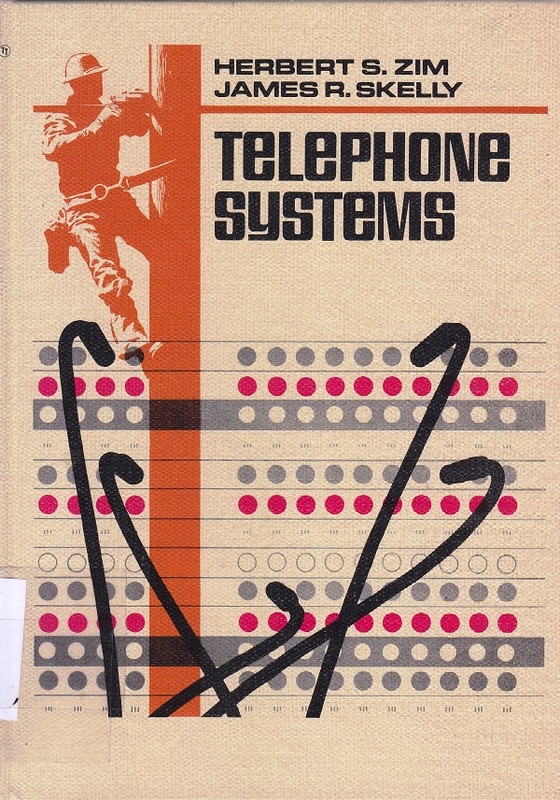 I can totally understand why this book would be weeded (instead of readed…ha ha) but what a lovely gift it would make for someone who works in the cellphone industry and also is fond of old books on the subject. Also, it’s by the wonderful Herbert Zim, who authored so many of the science and nature books I loved as a child! Nice, friendly font and leading size in this book, too. Fascinating little gem! But it’s historical! 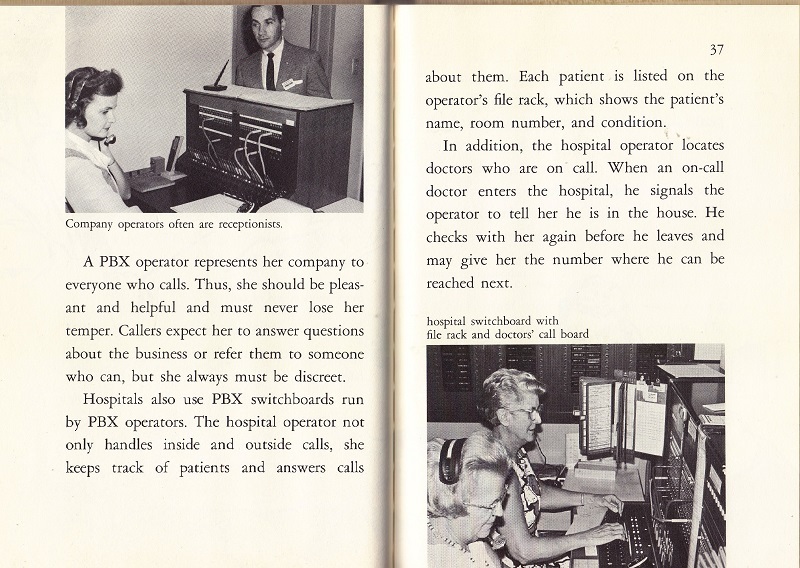 I had a small toy PBX when I was little, and I loved “connecting” calls on it. Pagers, when they came along, were evil! There is a young man on Youtube with the most incredible collection of Telephones. This book would have been perfect for him. Local patrons, probably not. 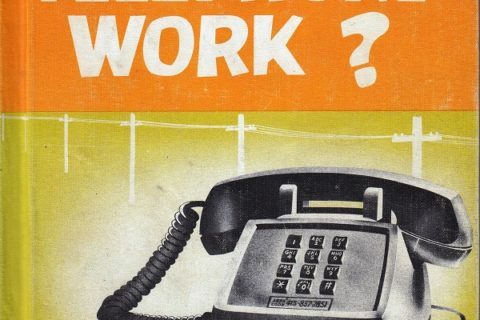 I recognize that equipment, but only because my grandfather was a phone company executive. He had a painting of a lineman up a pole in his dining room, and several antique phones in the living room. I’m not sure if I’ve ever seen a lineman climb with a belt like that in real life. Don’t they use cherry-picker trucks now? They still use the belt and spikes of the pole is in a place where they can’t get a ladder or a truck, and there are a lot of those out there! Operator, would you help me make this call? I would love to read this. Could it be worked into a display somehow? in re the toll ticket, I still have one that was placed in my grand mother’s phone bill when she called the doctor at the psychiatric hospital 300 miles away where her sister was institutionalized. Even has the doctors name and everything. What a time to have been alive. **it is still a good idea to have a land line in your home, even if not used very often. 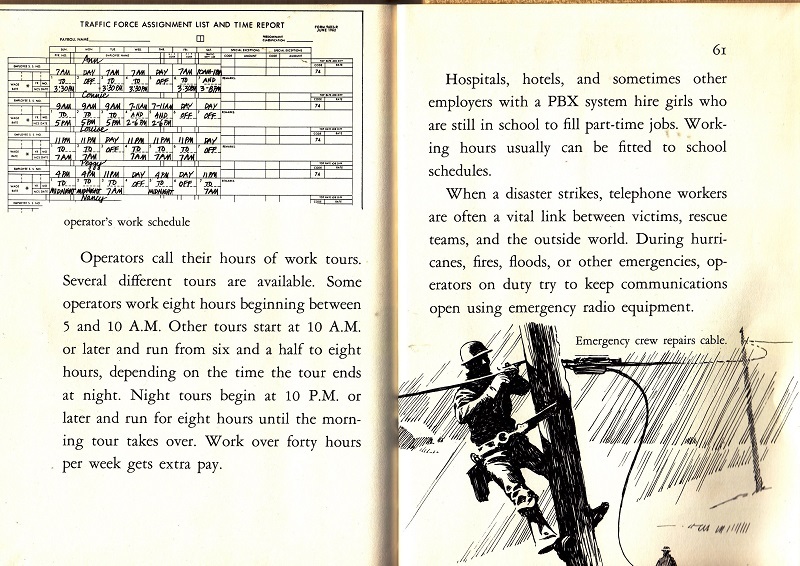 I have several friends who go out with the Red Cross in emergency situtations, frequently the first service to collapse in celluar phone systems.. 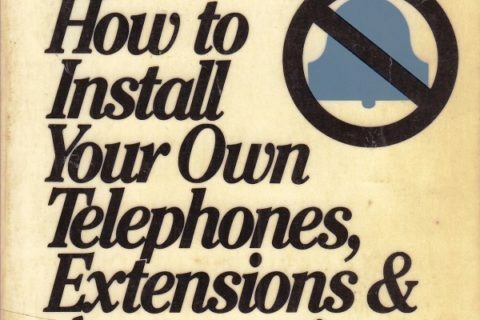 I have a land line and use it all the time. Do people seriously need instructions? It’s not that exotic nor complicated. 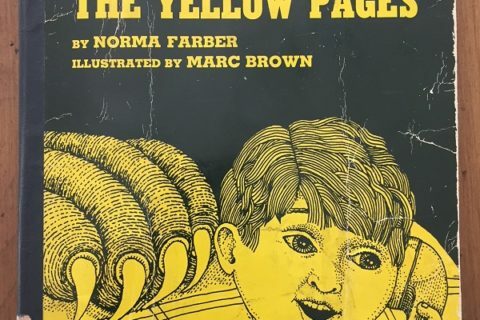 I know my parents were in high school when the book was published in 1971. My dad was born in April 1956. My mom is about 20 months younger than him, being born on New Year’s Eve 1957. Anyway, I was raised on old cartoon reruns until Pokemon and spongebob squarepants came out on American tv. I know of things like this from Hong Kong phooey, since he was a favorite. 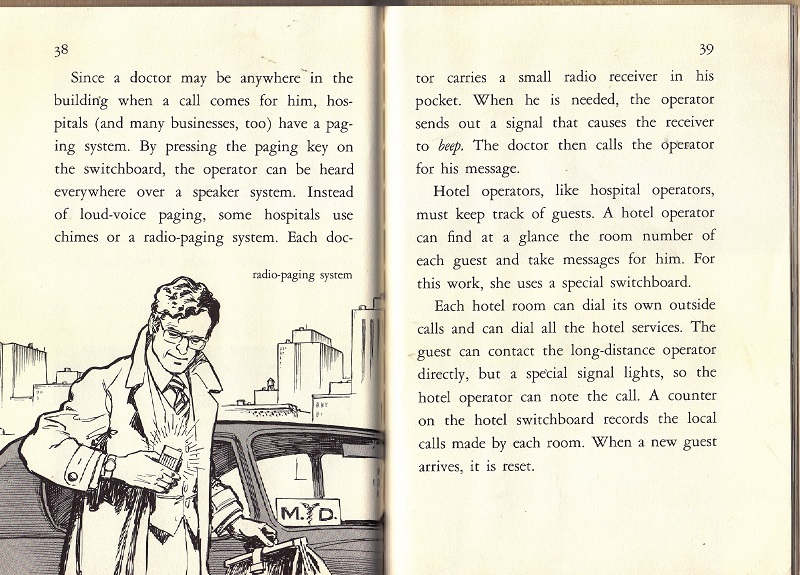 One thing I’ve never seen an answer to… how did the operator know when to unplug the call when people hung up? 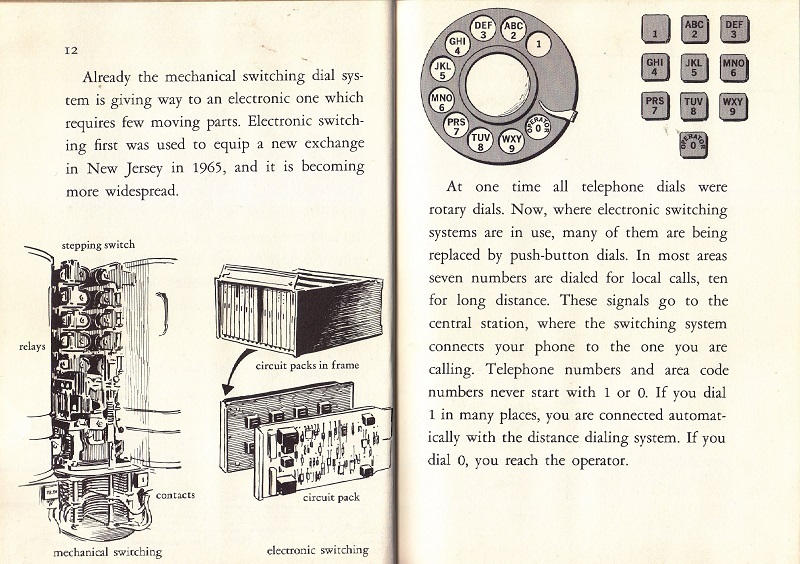 Or if manual switchboards didn’t work that way, what did operators do when the call they’d connected hung up? 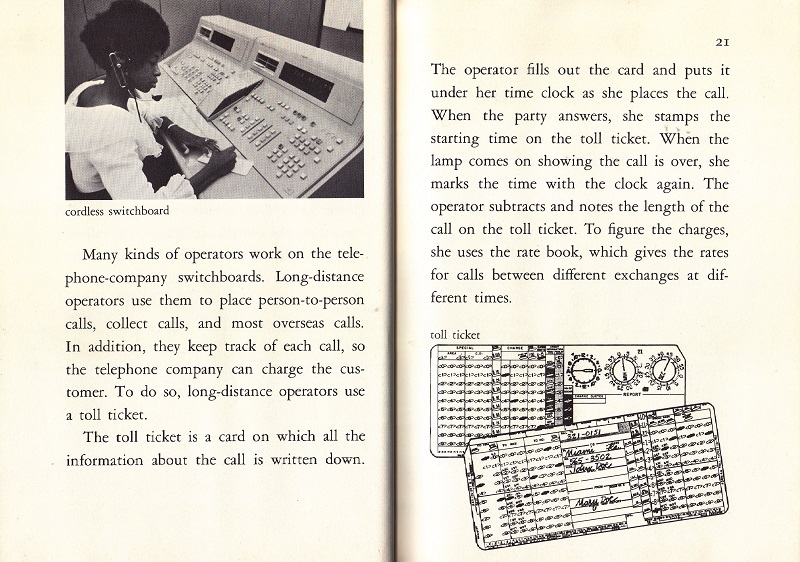 I worked in the high school office for a period one semester, and used a switchboard like that. I think there was a light that went out when the phone was hung up. I also used (and hated) the mimeograph machine. Modern technology is wonderful!